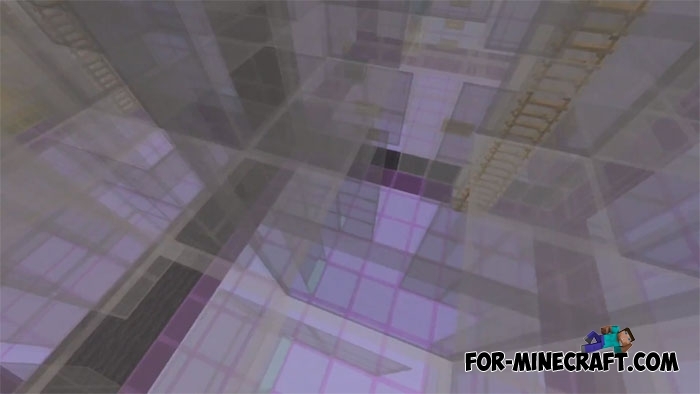 This map looks very cool even from afar, where else you can see a huge cube from which you need to get out. 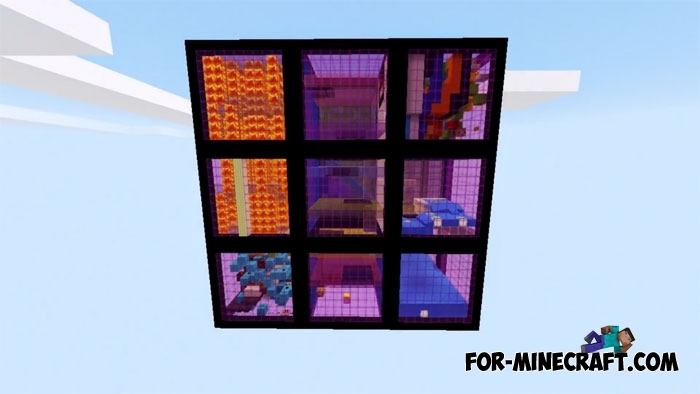 As you can see in the screenshots, the cube consists of rooms separated by walls. Each such room contains a specific task that you need to solve. I do not think it's necessary to remind that it is forbidden to break walls and move to the next level without solving a puzzle. 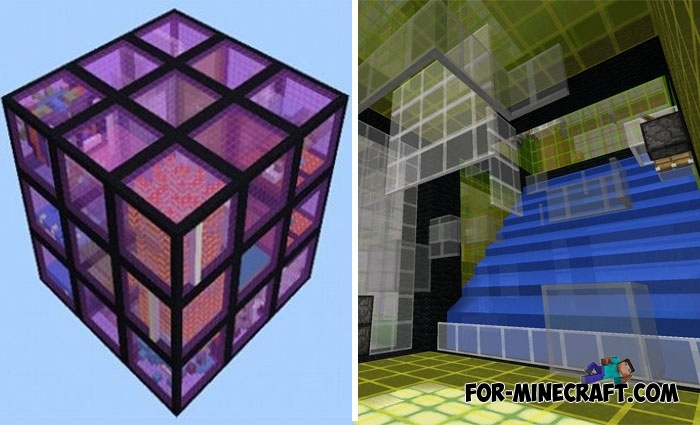 The cube is a real test for not only knowing the game but also logic and ingenuity. 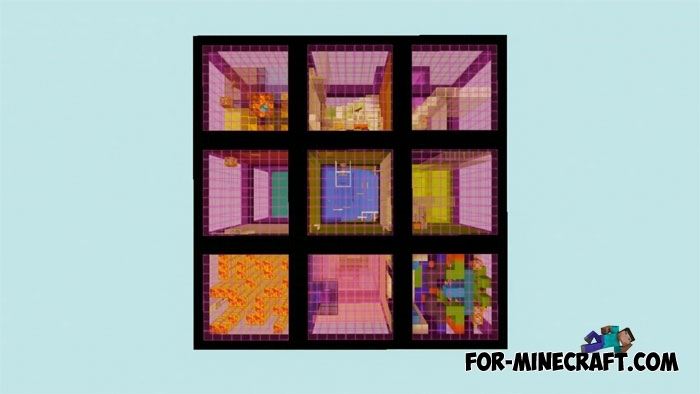 The cube does not have the same levels, so every time you get to a new location, you (if you can not go through a certain location or do not want to play alone, then call up to three players) will need to reorient your brain and look for the key to solving the problem. 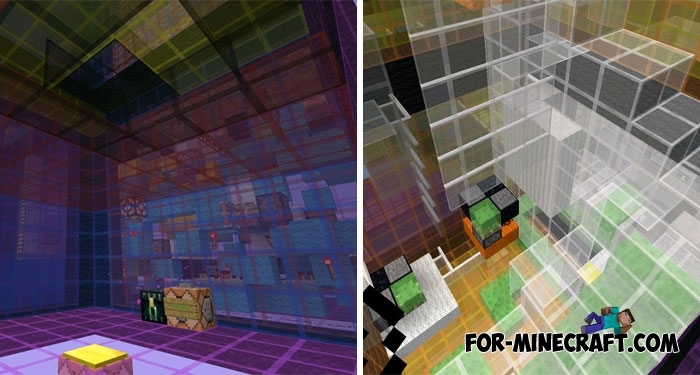 The walls of the cube are glass and you can safely consider what is behind the wall but in no case do not break the glass and do not include cheats and hacks which by the way can be found here - Cheats for Minecraft Pocket Edition (Bedrock).